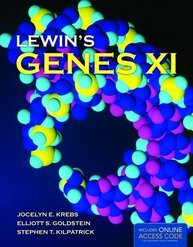 Review: “Lewin’s GENES XI is the best molecular biology textbook with a high reputation." We recently conducted a review of our best-selling and highly regarded, GENES XI textbook. We sought feedback from instructors who are currently or have very recently used the text in their molecular biology course and instructors who have not adopted the current Eleventh Edition.